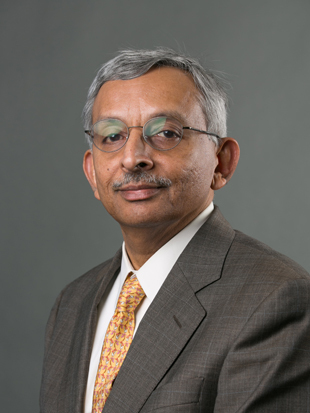 Vadake Narayanan, PhD, Drexel LeBow’s Stubbs Professor of Management, recently returned from a Fulbright-funded research trip to India, where he studied five academically-affiliated business incubators that are home to both regular startups as well as social-impact innovation (companies that focus on making a positive impact as well as turning a profit). Narayanan stayed in Ahmedabad, where he collaborated with faculty members at the Indian Institute of Management. He also collaborated with faculty at the Institute’s Bangalore location. All told, he interviewed more than 50 incubator managers, entrepreneurs and government officials to broaden his research on innovation in emerging economies. He is still working on a paper that will detail his findings, but he shares some observations and what he sees as tentative implications. The positive side of incubation in India, Narayanan says, is in the social impact space. “The social entrepreneurs I met are doing things that are really novel and out-of-the-box. I would even go as far as to say that with regard to social incubation, these startups are far ahead of the game compared to incubators I find in the U.S.,” Narayanan says. One professor he met with teaches a class requiring students to go out into rural areas to find out what’s really needed to help improve those economies. Students create an assessment and provide a solution. Successful social startups have come out of that class. In general, this attitude is in line with a cultural tendency toward aversion to risk in India. Narayanan says that typically members of the middle class in India believe that a steady job with a company like IBM is the prized outcome of a graduate education. Incubators are attempting to help startups overcome all of these barriers – spending money on helping entrepreneurs reduce their debt levels and working to create ecosystems capable of funding, making and selling innovative products. Incubators are also working to educate people and get them excited about entrepreneurship and what incubators do. And they are getting a little help from a relatively new government-funded campaign called “Start Up India,” which has arisen to promote financing for start-up ventures in order to boost entrepreneurship with the goal of creating jobs and growing the economy. Narayanan says they seem to be invoking a sense of “glamor” in entrepreneurial activity especially among the younger generation — which is likely to help erode those cultural barriers in the long run. Overcoming learning curves are also important to the incubators themselves: they are relatively novel within emerging countries and first appeared in India only 15-20 years ago. Editor’s Note:This is the third Fulbright Narayanan has been awarded. In 1997, he received the Fulbright-FLAD Chair in Management of Technology to research university internship programs at the University of Aveiro in Portugal. In 2004, he obtained the Fulbright Alumni grant to work with his colleague in Portugal, delivering a knowledge management course in a global classroom format. He is the former Associate Dean for Research at LeBow. 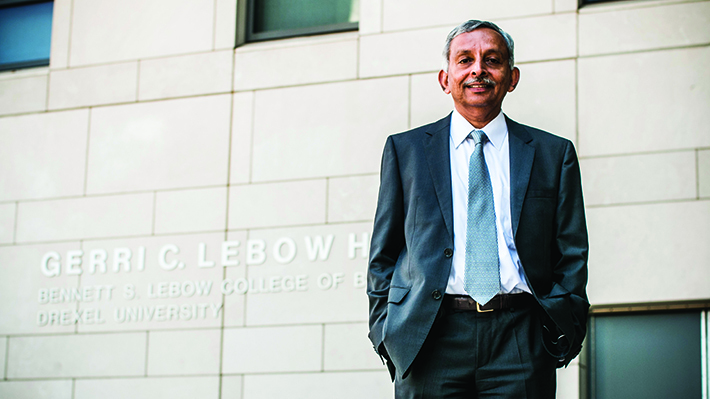 LeBow’s Associate Dean for Research, VK Narayanan, PhD, has been awarded a Fulbright Scholar grant to fund a research sabbatical in India, where he will broaden his research on innovation to include emerging economies.